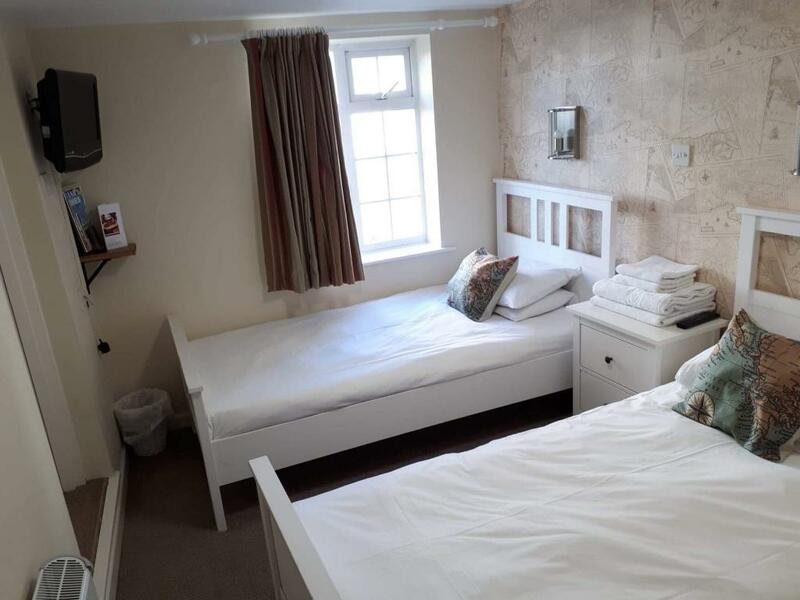 The twin rooms are bright and airy and features brand new furniture, carpets, curtains and fittings. 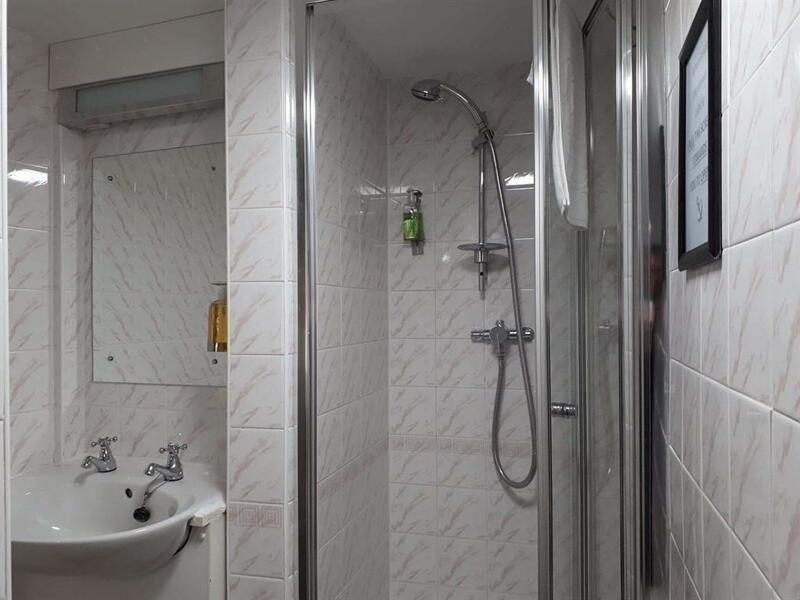 This room is en-suite and offers a shower facility. 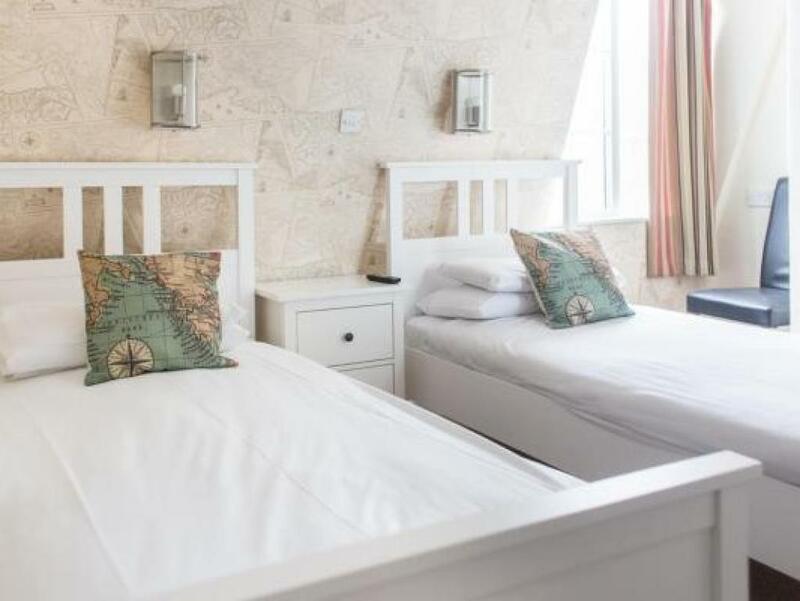 The room is fitted with a flat screen colour television, kettle and tea and coffee making facilities as well as towels, hand wash and shower gel. 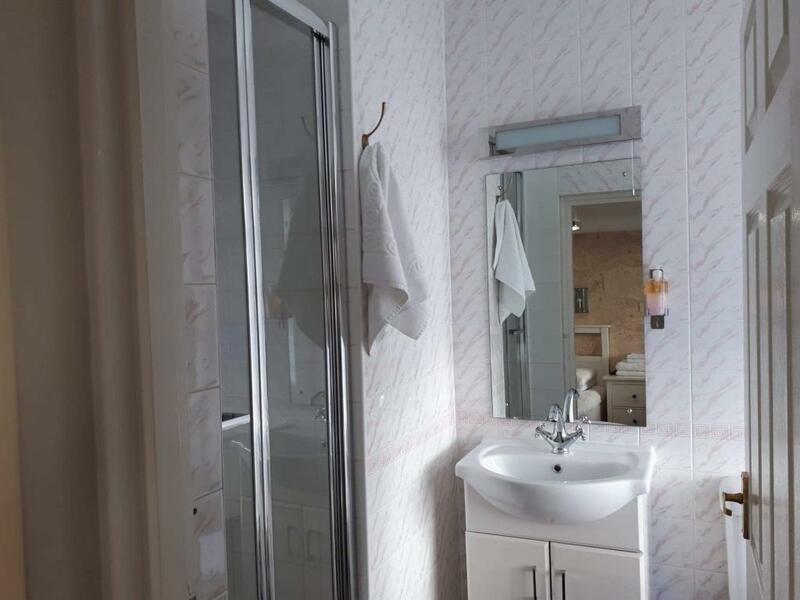 Hairdryer and/or iron and ironing board are available for use by guests upon request. 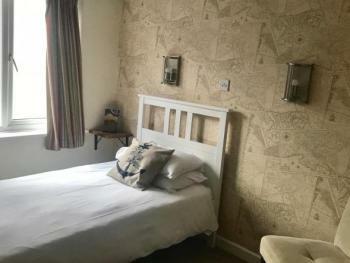 Thames is a single room. The room is bright and airy and features brand new furniture, carpets, curtains and fittings. 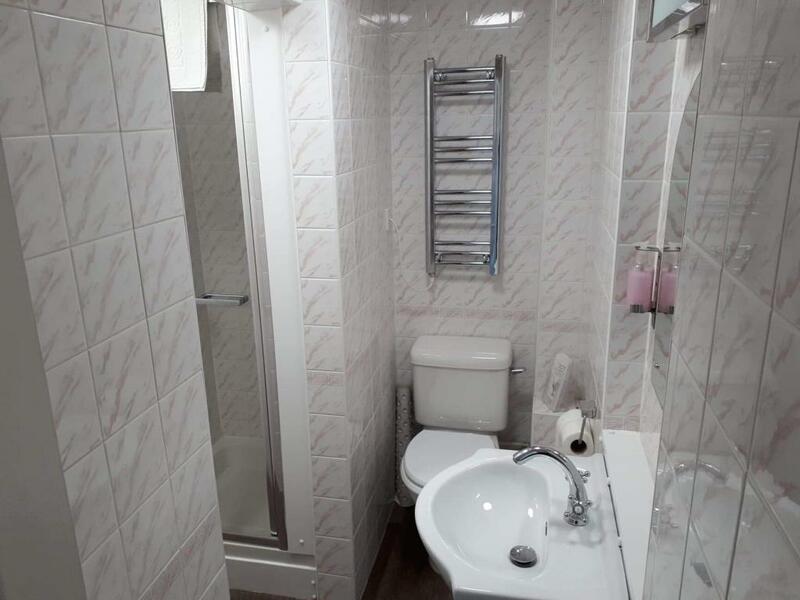 This room is en-suite and offers a shower facility. 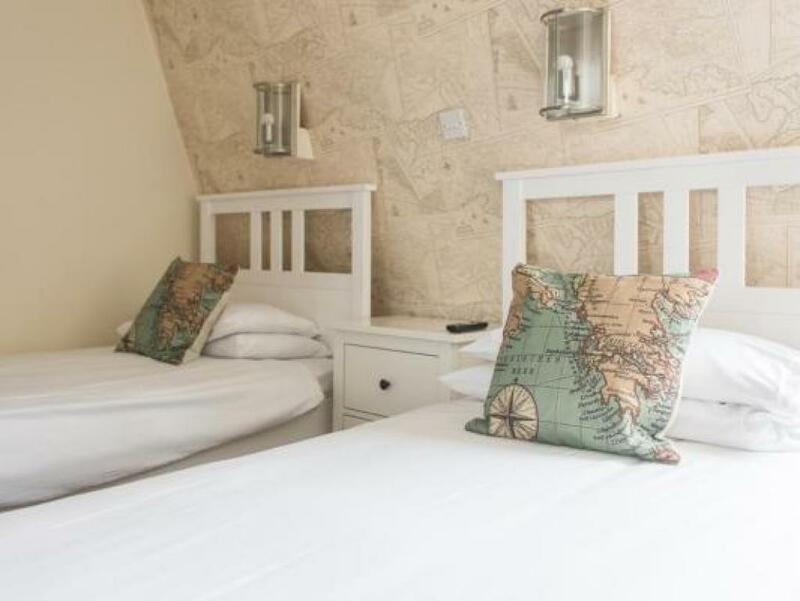 The room is fitted with a flat screen colour television, kettle and tea and coffee making facilities as well as towels, hand wash and shower gel. 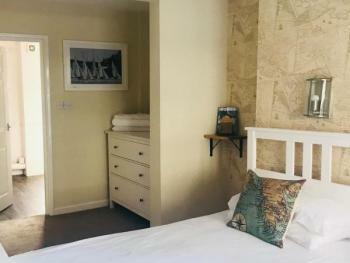 Hairdryer and/or iron and ironing board are available for use by guests upon request. 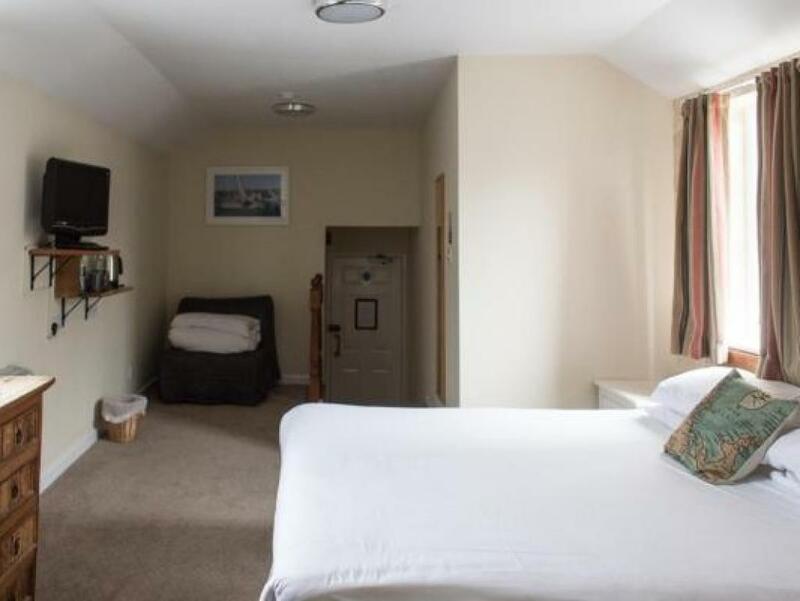 Portland is a double/family room. 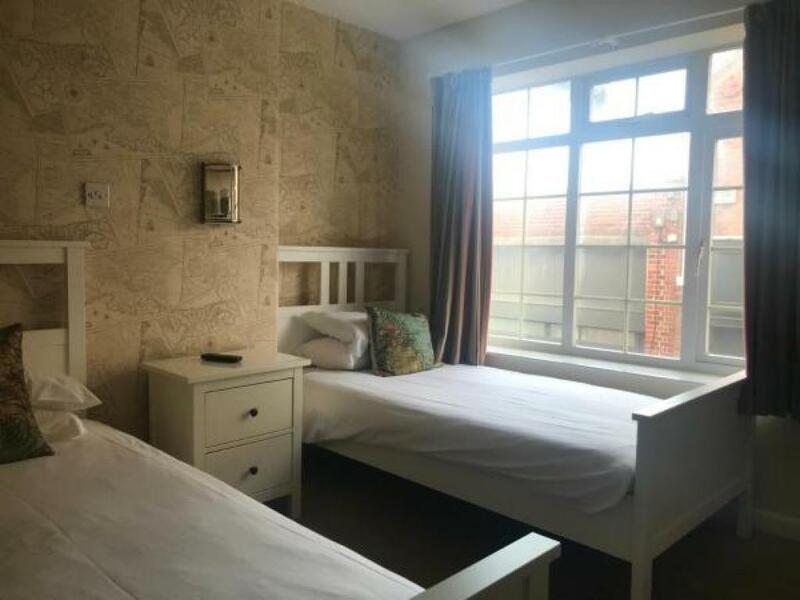 It is our largest room and offers a king size bed with a pull out chair bed sleeping up to 3 adults or two adults and a child. 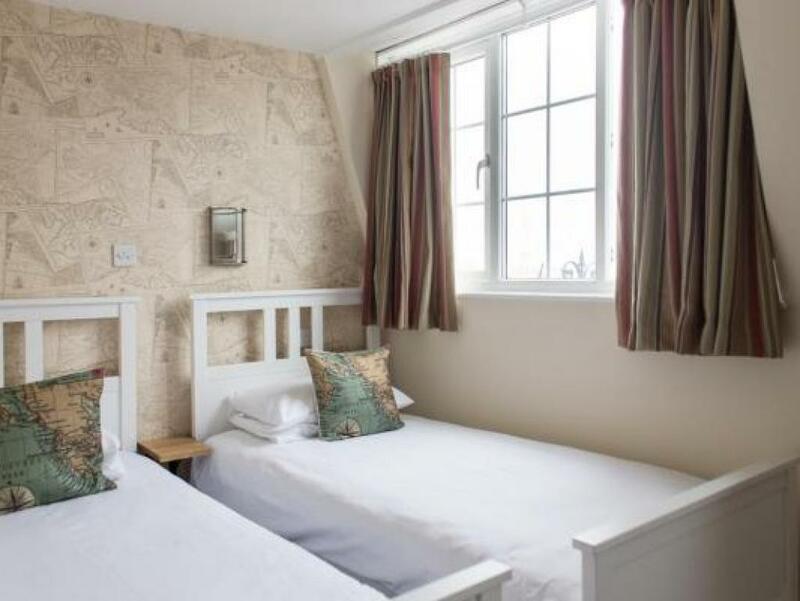 The room is bright and airy and features brand new furniture, carpets, curtains and fittings. 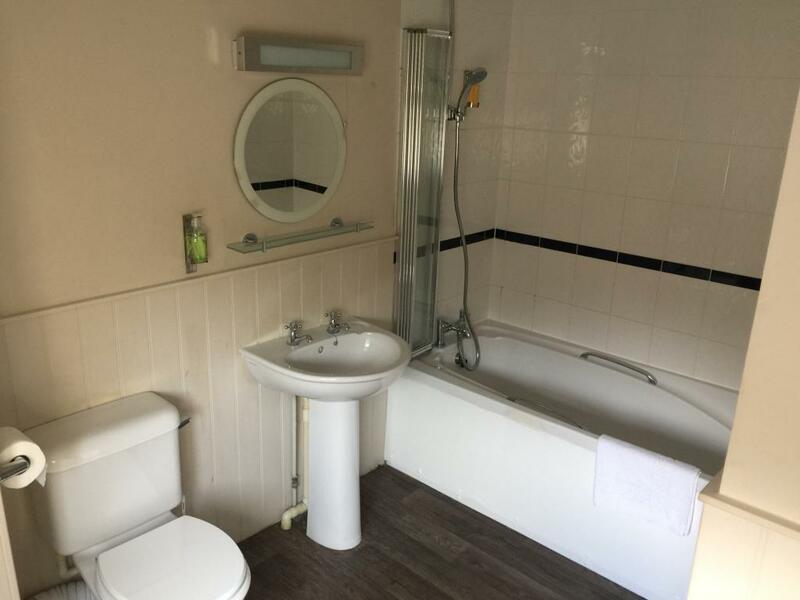 This room is en-suite and offers both a bath and shower facility. 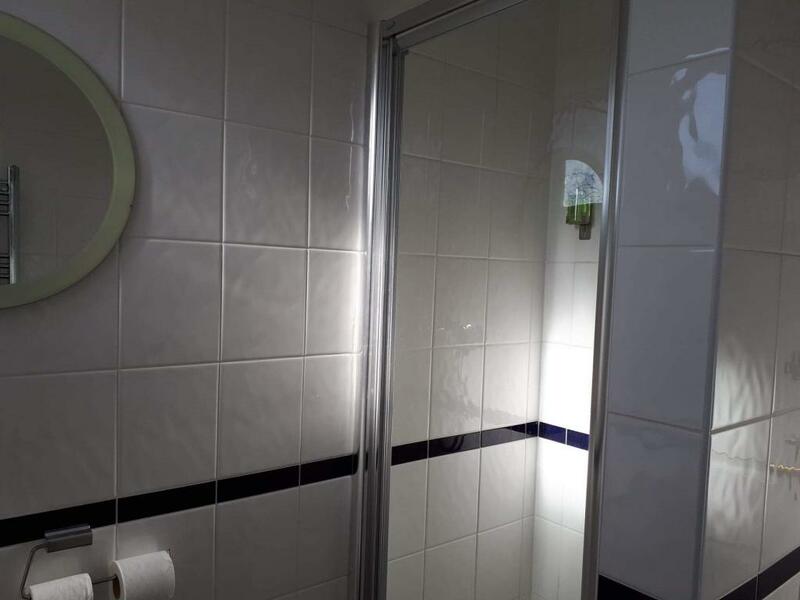 The room is fitted with a flat screen colour television, kettle and tea and coffee making facilities as well as towels, hand wash and shower gel. Hairdryer and/or iron and ironing board are available for use by guests upon request. 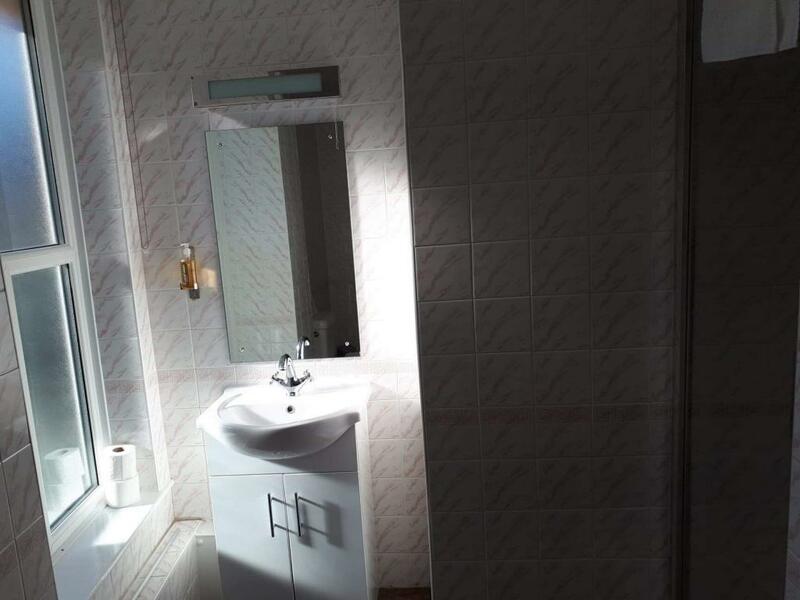 Finnisterre is a twin room. 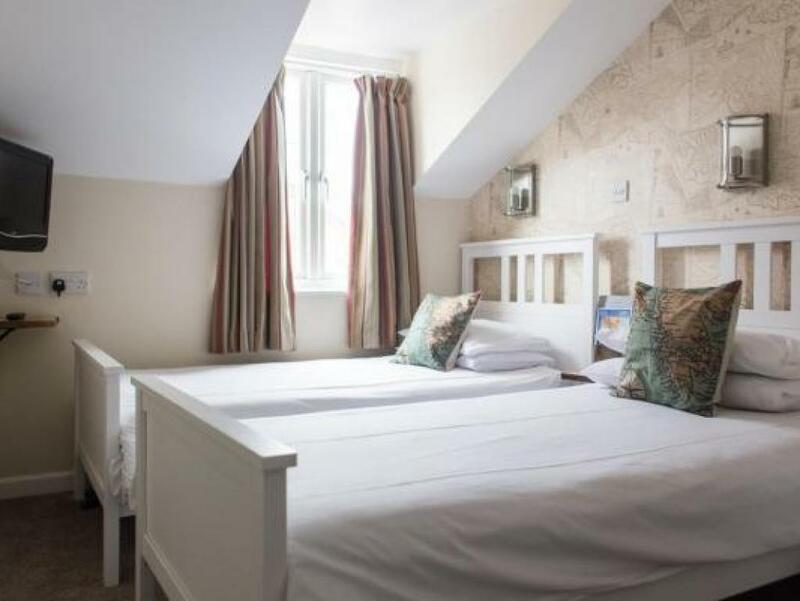 It is situated on the third floor of the building and is reasonable size sleeping up to two adults comfortably. 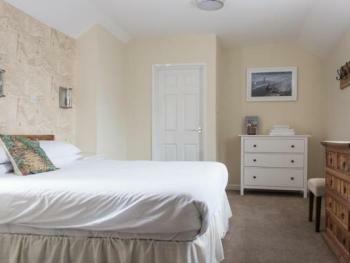 The room is bright and airy and features brand new furniture, carpets, curtains and fittings. 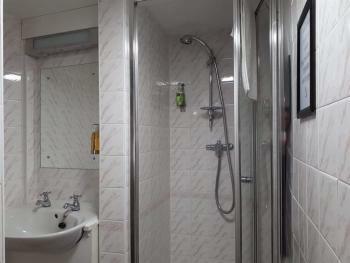 This room is not en-suite but it does have its own private bathroom which offers a shower facility. 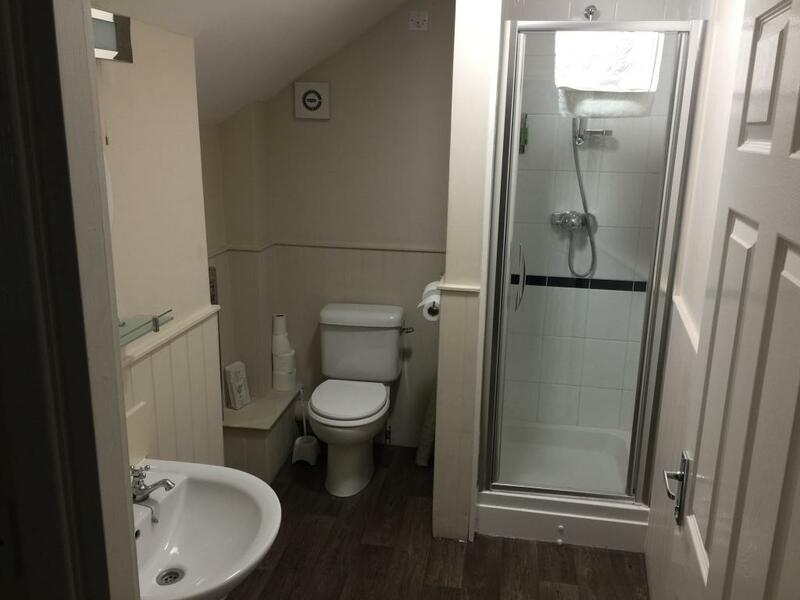 The bathroom cannot be accessed by other guests and is situated on the same floor, just around the corner from the room itself. 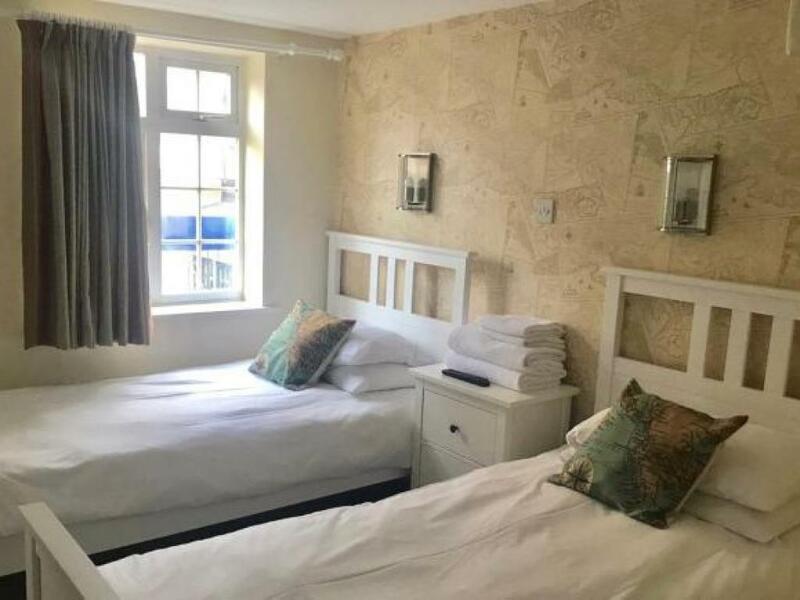 The room is fitted with a small wash basin, a flat screen colour television, kettle and tea and coffee making facilities as well as towels, hand wash and shower gel. 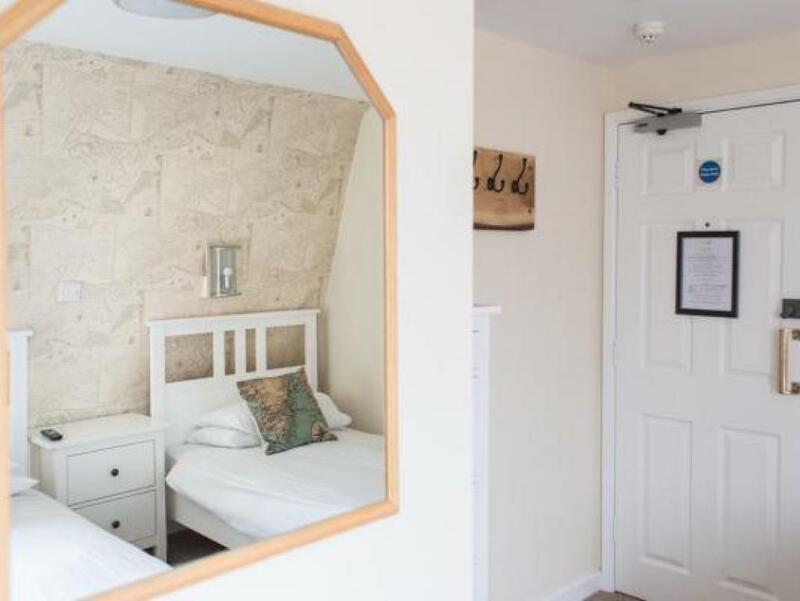 Hairdryer and/or iron and ironing board are available for use by guests upon request. 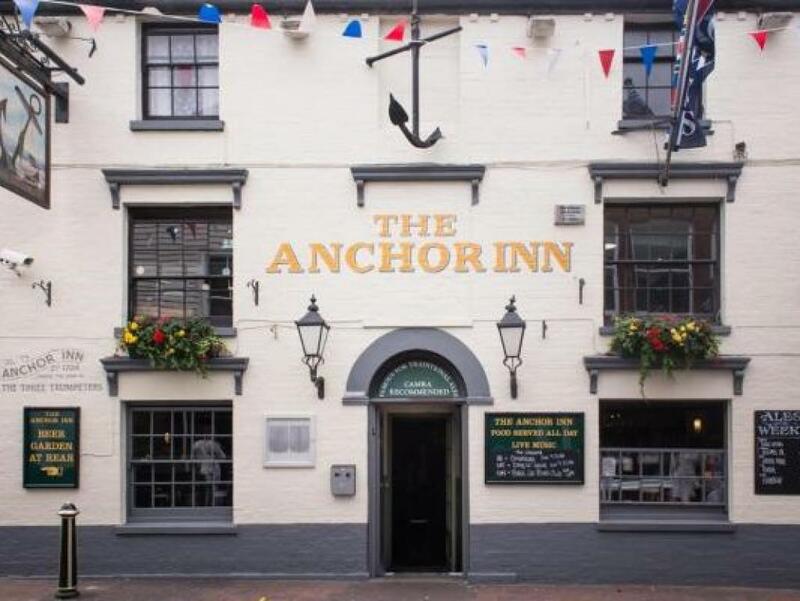 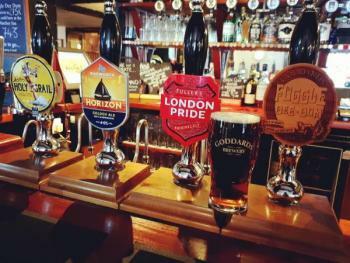 Situated within the heart of the vibrant yachting town of Cowes on the Isle of Wight, The Anchor is a favourite with locals and visitors. 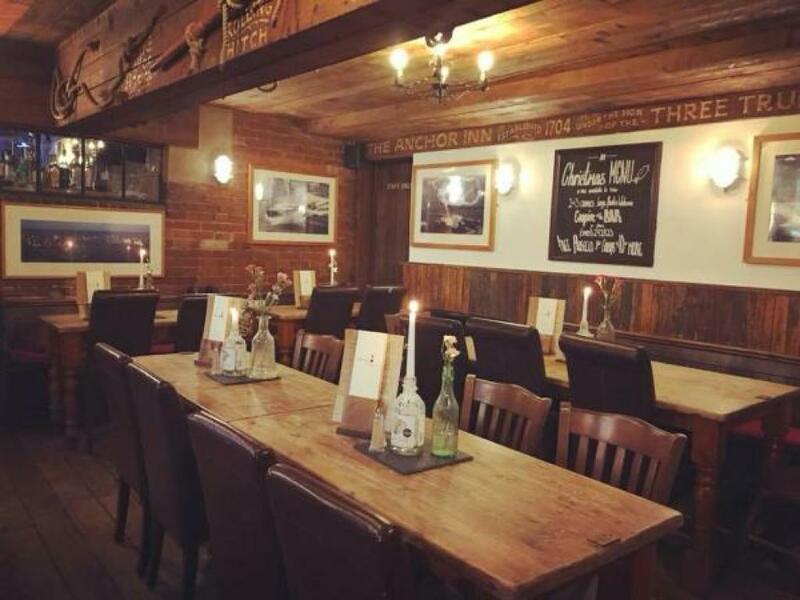 Open all year round, The Anchor offers a wide selection of delicious home cooked food from a full menu as well as a choice of daily specials using locally sourced produce. The Anchor is always full of atmosphere and features live music every Wednesday, Friday and Saturday evening throughout the year from some the Islands top bands and most talented musicians. 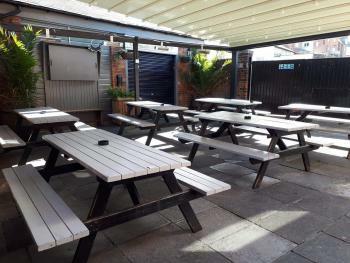 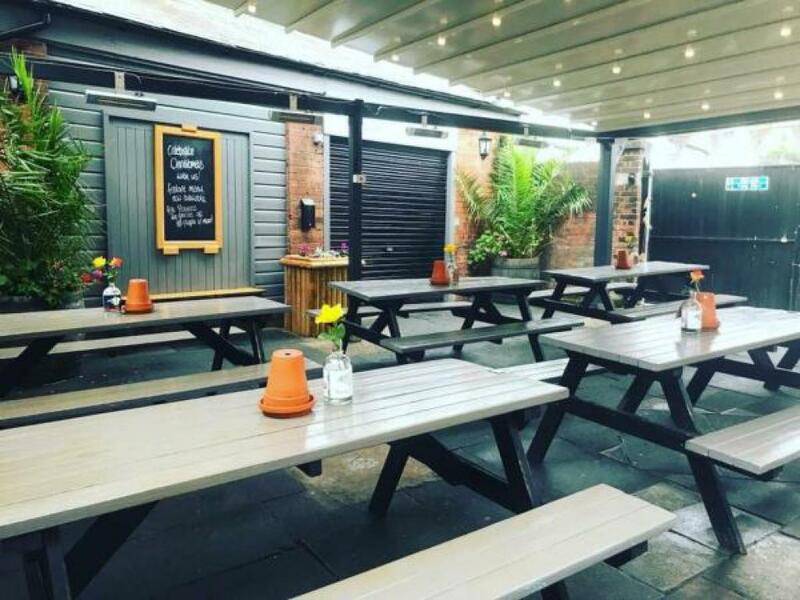 In the summer time, you can relax in the large courtyard Beer Garden which is a real suntrap and during the winter months cosy up amongst the warmth of our wood stove. The Anchor is the ideal place to meet friends and family, eat, drink and be merry whether you are local to the area or visiting offering comfortable and affordable accommodation for guests throughout the year. The nautical reference is fitting for a pub so near the sea where sailors from around the world meet to share their tales. 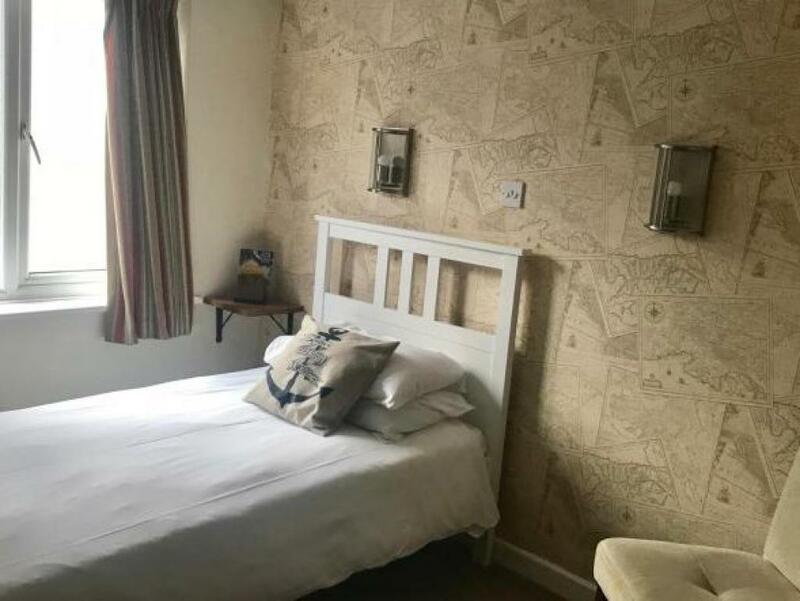 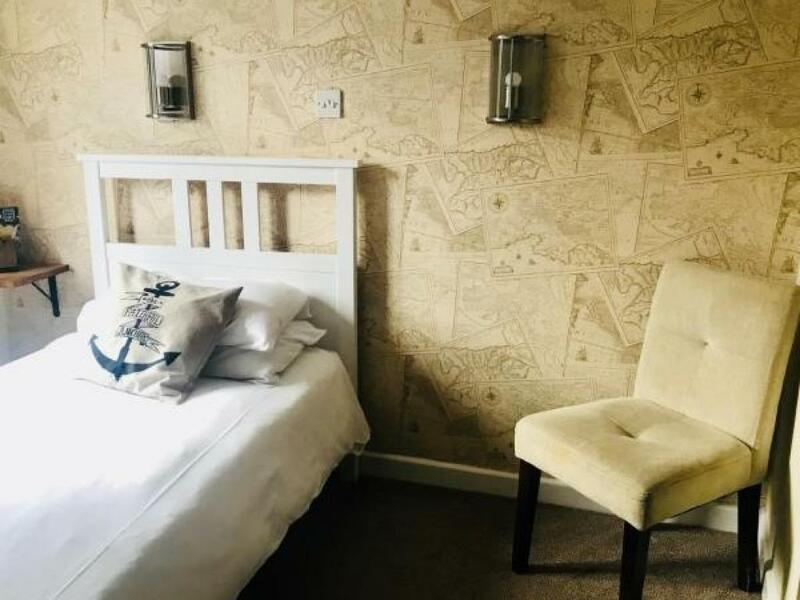 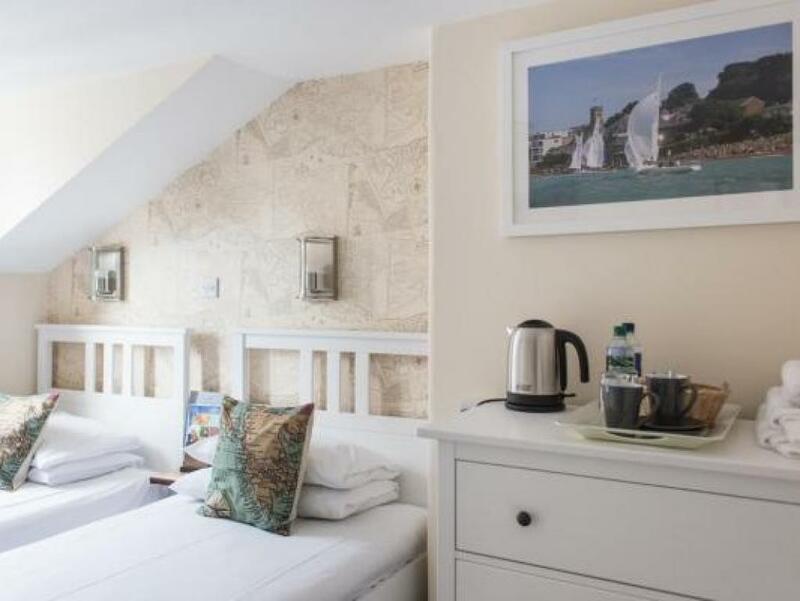 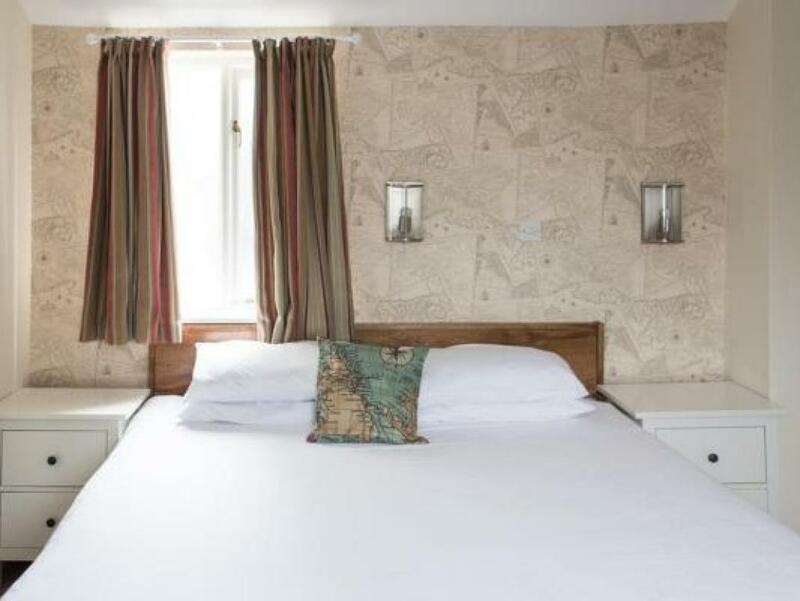 There are seven newly refurbished rooms available at The Anchor. 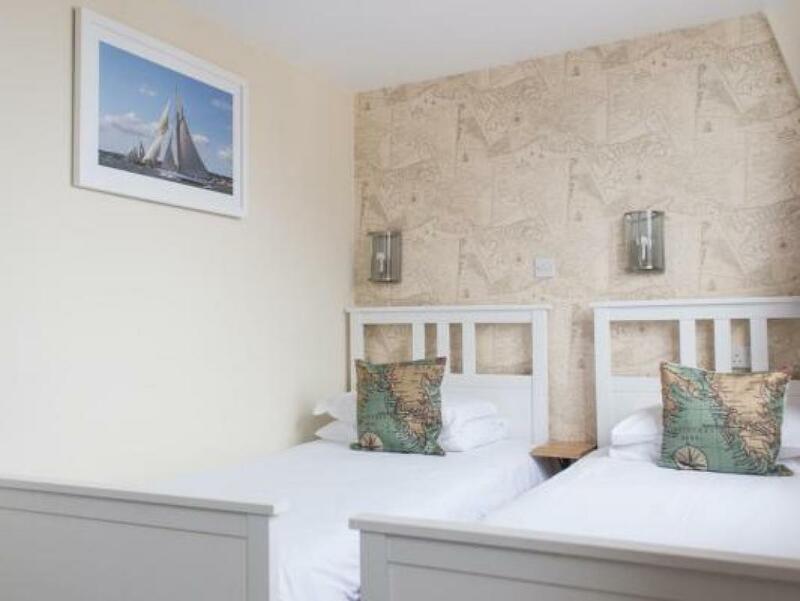 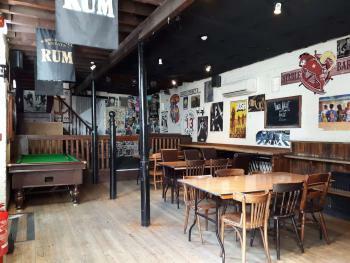 Each room has been finished to a high standard whilst in keeping with the nautical theme of one of Cowes’ oldest and most highly regarded pubs.